India is famous for rising economies around the world, this country is renowned across the globe as an attractive holiday destination and for welcoming guests with great keenness and eagerness. 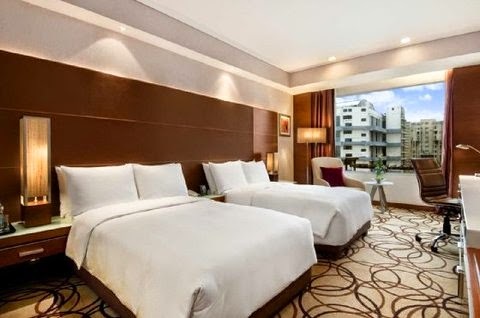 There is a phenomenal growth of cheap hotels in India, here are some list of best business hotels in India that feature world class business facilities and services. Taj Lake Palace is one of the most extravagant luxury hotels in India. National Geographic Magazine has mentioned that this hotel is one of the romantic Hotels in India. Taj Lake Palace hotel is one of the comfort, chic and luxury hotels, Intricately designed with complicated gardens, fountains, reflecting pools , snow white marble walls. Umaid Bhawan Palace is one of the popular tradition hotels in India, this hotel is one of the largest private residence in the world. This Umaid Bhawan Palace is still houses for the royal family of Jodhpur in one of the three sections of the premises. The remaining two sections are divided into a museum and luxury palace hotel, which are having a unique collection of furniture, clocks, arms and many more. The Oberoi Hotel is rated as one of the luxury hotels in the world, this hotel will take you to the India’s legendary Rajputs. This hotel is covered with the area of 32 acres of land, which is combined with beautiful gardens, this hotel offers an unbelievable range of 71 luxury rooms, pools and fountains, tents and villas with private pools. Firstly, Rambagh Palace was one of the popular royal palace and after that it is converted into heritage hotels. In this palace all spots stars, celebrities and diplomats from all over the world stay here for enjoying the vacations in Jaipur. This Leela Kempinski Hotel is covered in the area of 75 acres and this hotel is festooned with 185 lavish rooms and suites. This hotel is one of the best option for those who wants to stay with plentiful comforts. The Imperial, New DelhiThe Imperial Hotel is one of the favorite among global trotters who visit in India. This hotel has a excellent regal and art deco styles, the hotel retain its past atmosphere to provide guest with an experience of a life time. This luxury hotel has 190 spacious guest rooms with an extraordinary collection of suites decorated with confined décor and high ceilings. India has developed and had become in the means of hospitality. I want to include one more name in this hotels of India that is Zuri Whitefield a luxury business hotels in Bangalore which is having exquisite banquet, conference space & fully equipped Business Centre to host the faultless event of your choice. The hotel is conveniently suited for business meetings, workshops, seminars, training sessions, banquets and weddings. The hotel is equipped with multiple halls that cater to different needs their facilities are customized to ensure that you and your guests have a unique experience. In the LMB Hotel Jaipur one can find well appointed room for each kind of business meeting with luxury facilities. It is located in the prime location of the city; the all luxury facilities make this hotel best 3 star hotel of the city.